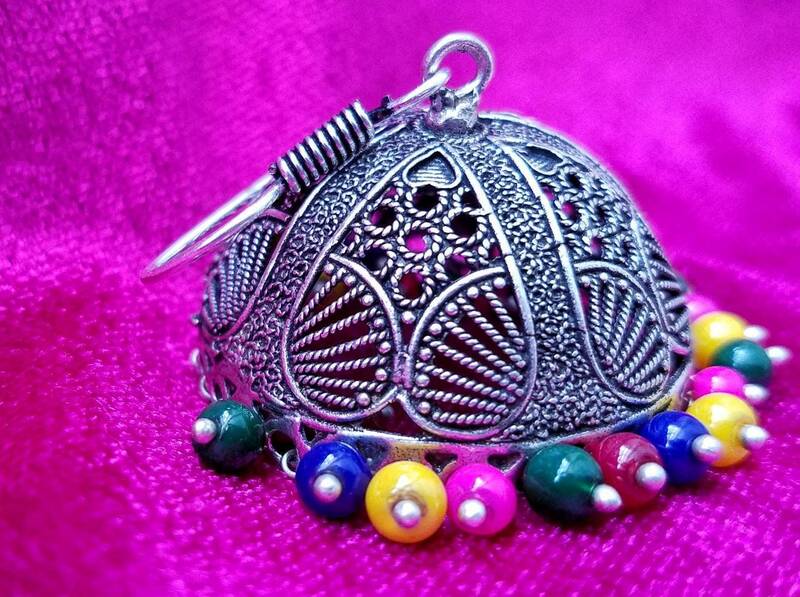 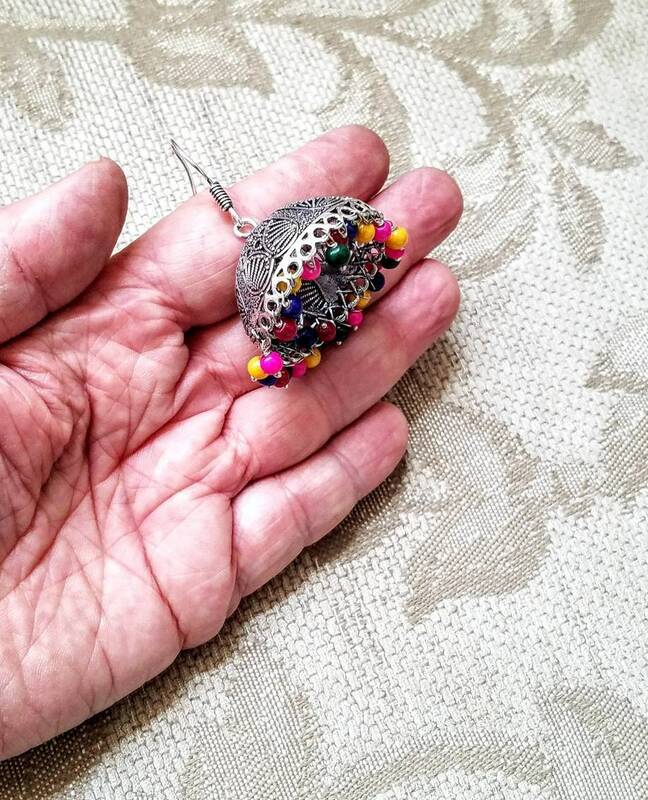 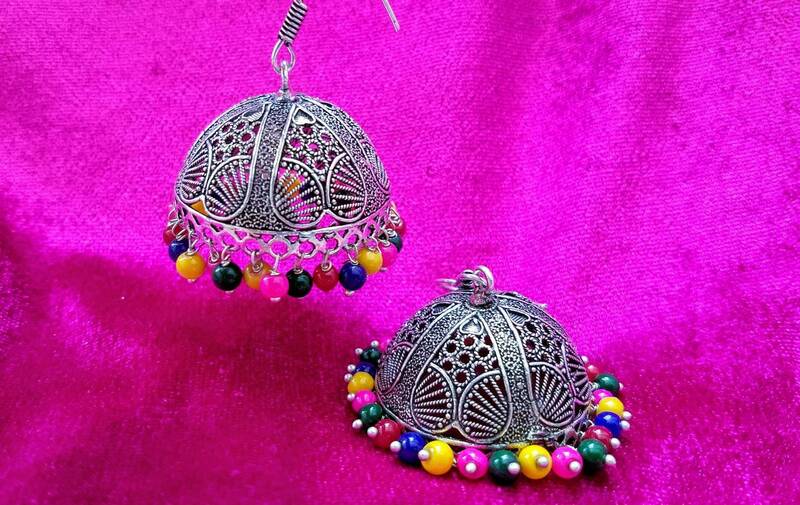 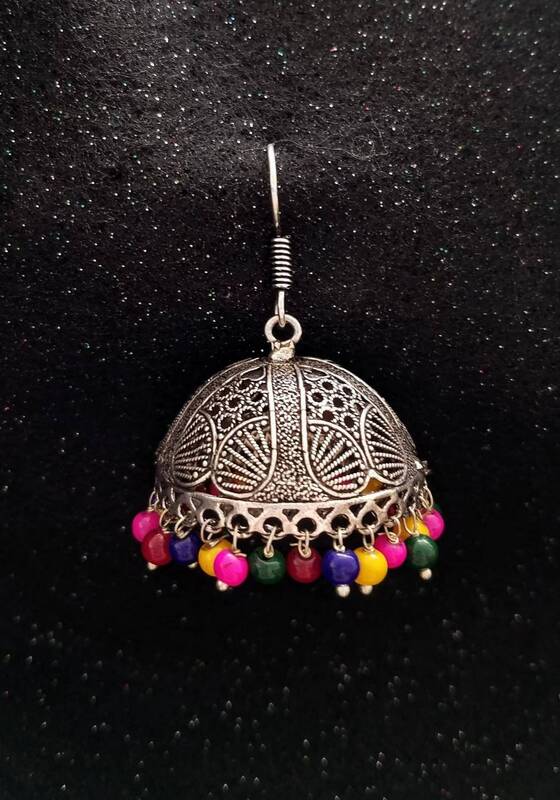 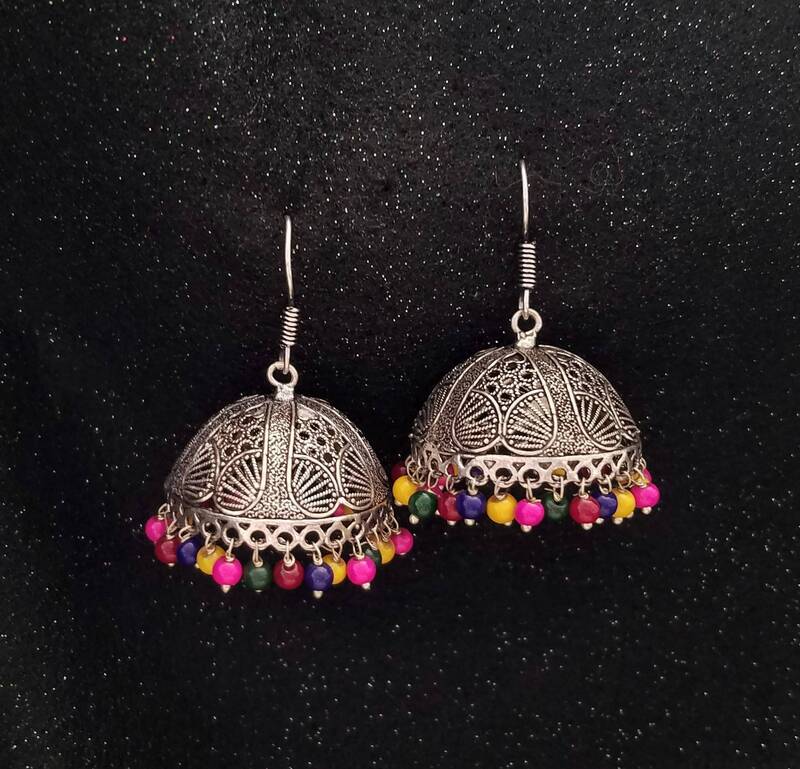 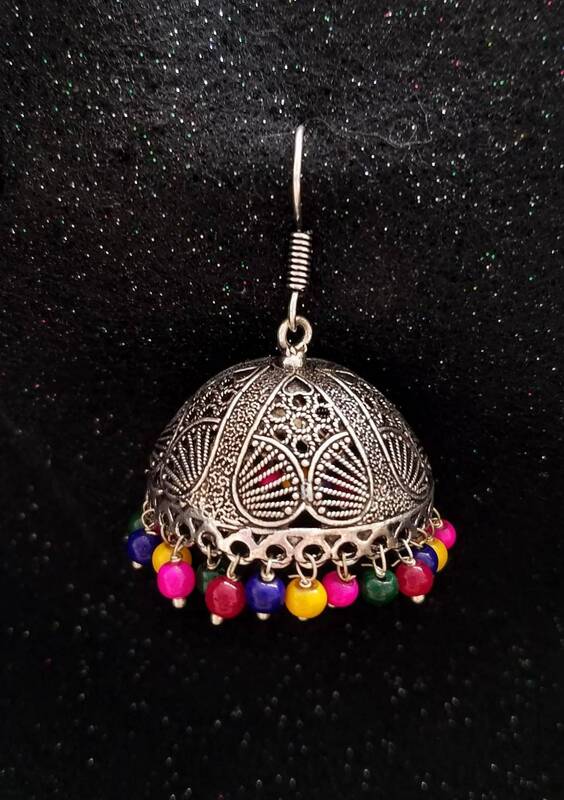 Super cute handcrafted Indian Jhumka earrings in oxidized silver tone, blackened silver, with rainbow colored beads. 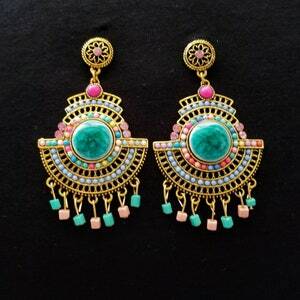 Extraordinary detailed and intricate design. 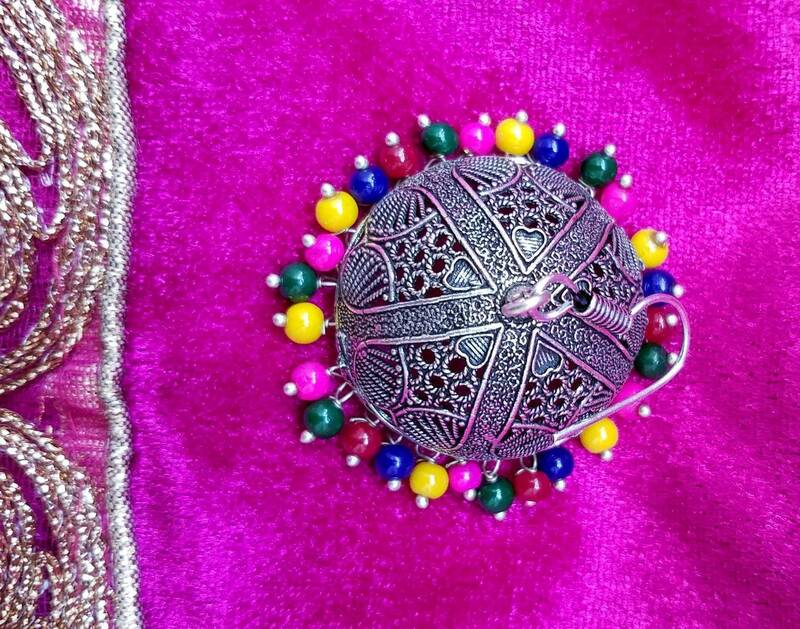 Right down to the tiny hearts. 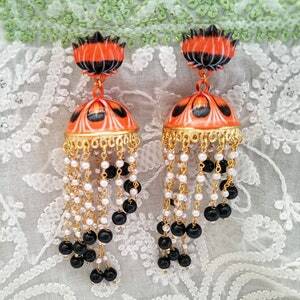 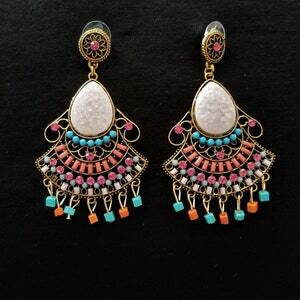 Interesting and fun earrings! 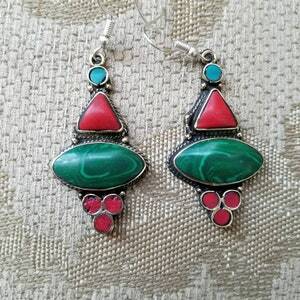 Very feminine.